Straight from the mind of one of the most recognized and beloved names in thrash metal metal comes the Eric Peterson Z. 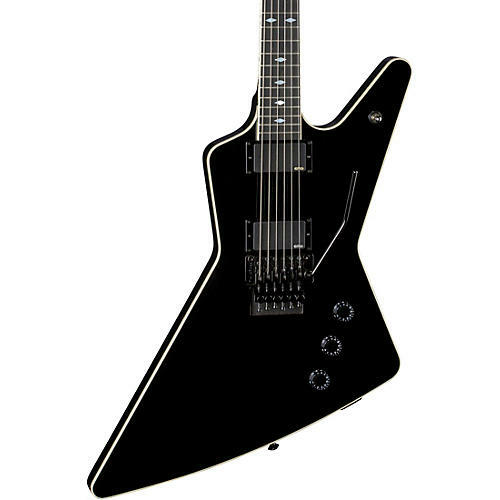 This is top notch guitar that looks like classic Dean, but geared up for the attack one would need to play the most aggressive styles in metal. With a mahogany body and a 3-piece maple neck with ebony fingerboard bring out the perfect combination of warmth and bite. Its set neck construction, EMG 81/85 active pickups and Floyd Rose 1000 Series tremolo system make this the perfect beast for shred and heavy rhythms. Case sold separately.